If you experience problems viewing this page, you may need to download Flash 5.0 or higher, an easy and quick process. Alternately, you can use the non-flash version of this page. 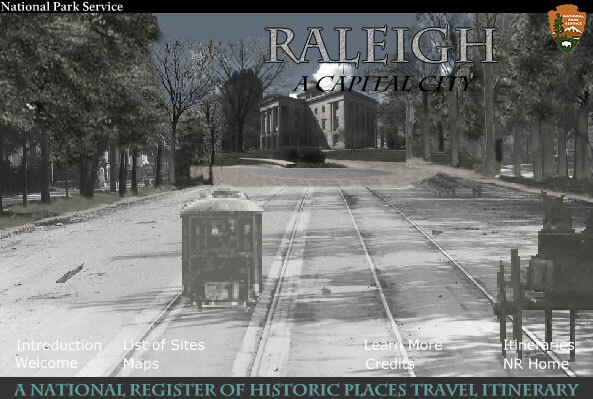 Produced by the National Park Service's National Register of Historic Places, in partnership with the City of Raleigh, the Raleigh Historic Development Commission, the North Carolina Division of Archives and History, the North Carolina State Historic Preservation Office and the National Conference of State Historic Preservation Officers.